Pride Mobility Products Corporation began to exclusively manufacture lift chairs in 1986. Since then, they have become the world leader in lift chair design, development, and manufacturing due to their continuing commitment to excellence. Pride Mobility lift chairs offer customers a stunning array of options, from size and position to fabric color and luxury features such as heat and massage. To find the perfect Pride lift chair for your mobility needs, contact our specialists now by dialing 1 (800) 486-1625! 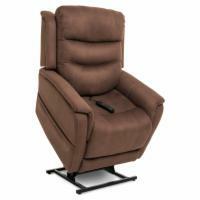 The LC-105 lift chair from Pride is a quality, comfortable lift chair that comes at a price that simply can't be beat. This split-back chaise lounger chair comes with an overstuffed fiber-filled back and smooth 3-position recline operation. It provides the ultimate experience in comfort and relaxation. Similar to the other Pride GL-358 lift chairs, the 358S is specially designed for those with a smaller stature. It promises comfort and durability that you have come to expect from Pride Lift Chairs. This medium sized lift chair is ideal for a quick nap. In addition to the standard Pride lift chairs features, the 358M has a slightly curved back for extra comfort. 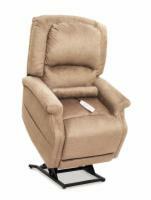 The 358L lift chair provides extra comfort for rest and relaxation. It comes equipped with many of the standard features and offers numerous choices of fabrics and colors for the home's decor. These chairs may be small, but they have an extra wide seat that ensures comfort. 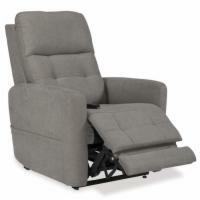 It has an exceptionally strong frame, and a smooth 3-position recline system. This chair is designed for those who are a bit larger bodied but who also don't want to miss what Pride has to offer. It has great back support, standard features, and has great durability. 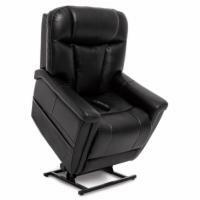 This is one of Pride's largest chairs available with a weight capacity up to 600lbs. Don't let the size fool you. It still comes equipped with exceptional features, strength, fabric and colors to choose from.